Hairstyles for Wet Hair | How to Style Damp Hair. How to Style Damp Locks: Hairstyles for Wet Hair. Sleek and damp hairstyles are very trendy, and they might be the right way to gain a few more style points, whether you’re going out, to work or enjoying some quality time by the pool or on a beach. Check out a few of the best hairstyles for wet hair, that will look good on both damp hair and once your tresses are dry. 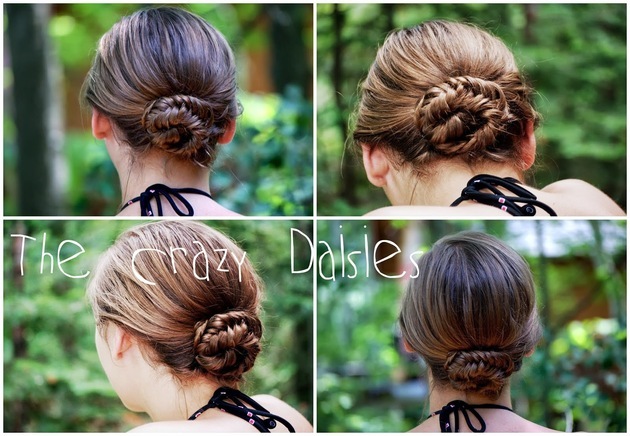 Pick your favorite and try these simple hairdos that look a lot more complex than they really are. The best braid for damp hair, a fishtail braid can look good whether you’re only wearing a bikini or you’re dressing up. 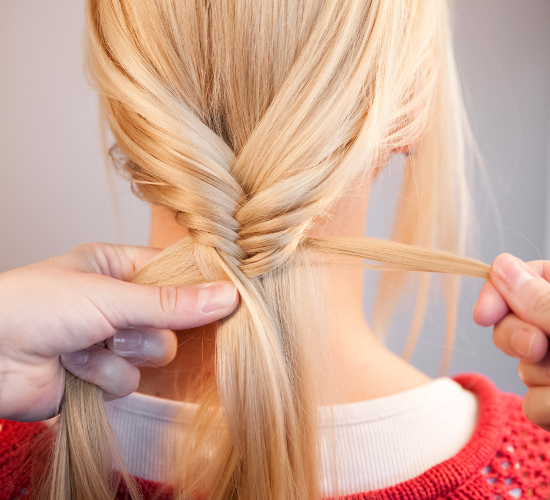 For shorter hair, braid a fishtail where they meet in the middle. If you want a more refined look for longer hair, pull your hair to one side, tie into a ponytail, and secure with an elastic band before braiding. After dividing your hair into two sections, start taking strands from behind each section, crossing them, and combining them with the other section. Repeat until you’ve got one of the best hairstyles for wet hair, that certainly benefits from the added texture. Another cool look for wet or damp hair, the French braided bun is definitely the right choice if you’re looking for something a bit messy. Start a French braid on one side, then continue with a regular braid. 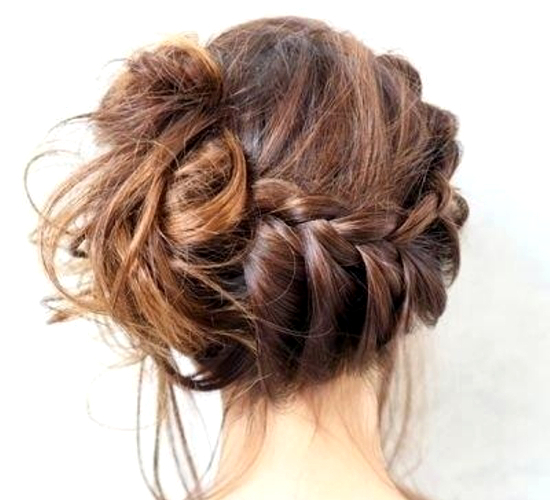 Once you’re done, twist into a messy bun, leaving only the French braid part untouched. If a high bun or a topknot is too simple for the wow factor you’re looking for, the fringe topknot is definitely one of the best hairstyles for wet hair you should try. Start by pulling your wet hair into a very high ponytail, 2 inches from your hairline. Roll the ponytail into a tight twist, secure with another elastic and leave the ends hanging on one side for a cool fringe effect. When you’re looking for more messy and less defined hairstyles for wet hair, the combination of a bun and ponytail is perfect for the beach or for securing your hair after a few laps in the pool. Start by pulling your hair into a ponytail where you’d like the bun to be, then twist and secure just part of your strands in a bun as you’d normally do, giving the other strands more freedom. Go for a cute flip-under effect if you’re looking for a casual, yet still stylish look. The French twist is a classic, but adding a floral scarf to your look lets you sport one of the coolest trends of the season. It’s a great way to secure your long damp hair in a stylish way. Start with the strands at the nape of your neck, twisting them up and tucking in more hair into the twist. Even if you’re wearing a trendy floral scarf, secure your hair with bobby pins to make sure it stays in place. If you’re looking for a bun you can wear to the office, the infinity bun is definitely a more sophisticated spin on the low bun and one of the more elegant hairstyles for wet hair. In order to keep it looking younger, you should also try some hair gel in order to define your strands after creating an off center part and running a wide-tooth comb through your tresses. Secure your hair into a ponytail at the nape, then twist the strands loosely. Use a finger to hook the twist and create a shape that resembles the figure 8, or a vertical infinity sign. 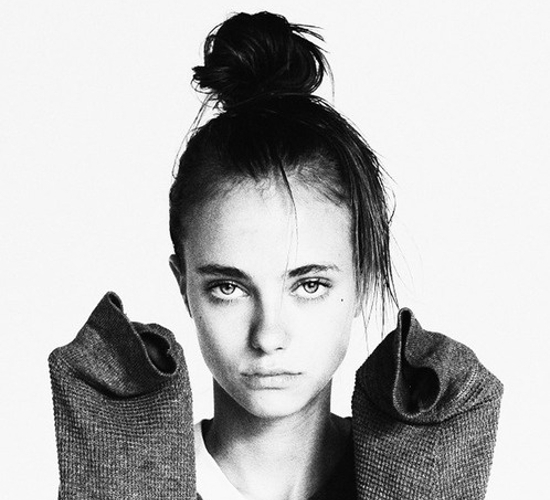 Use bobby pins to secure once you’re satisfied with the shape of your sophisticated damp bun. Another cute variation of buns and fishtail braids, the fishtail bun is definitely one of the best hairstyles for wet hair. Start with a high ponytail which you then braid using the standard fishtail technique. Don’t keep the braid very loose, since you’ll be curving it around to form a bun. 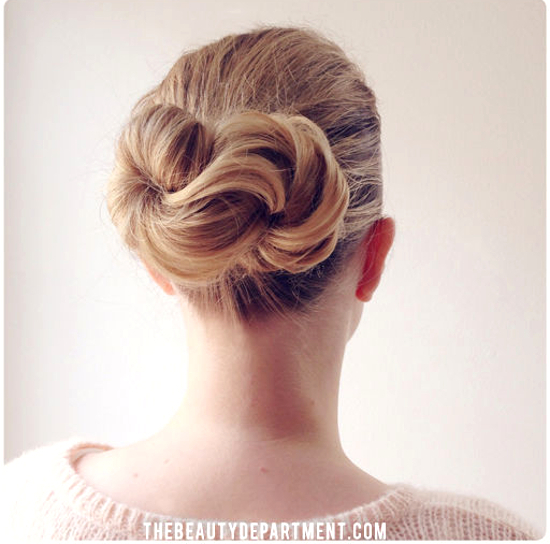 Pin it and tuck the ends underneath the bun to complete the look.